The protest, which started on the night of October 9, will continue every evening till their demands are met, students said. 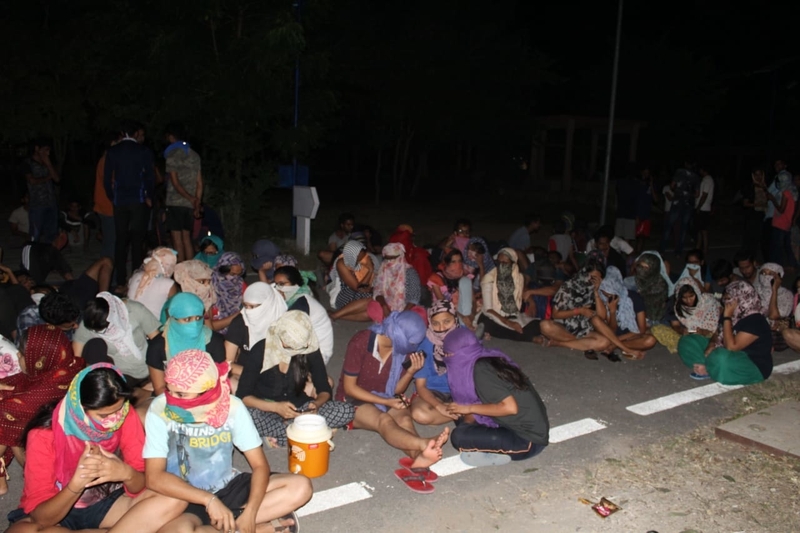 On Tuesday, October 9, the students of Central University of Rajasthan started a protest against the unfair surveillance rules in the girls’ hostels in the University. The protest was started by the female PhD students around 10 PM, in front of their hostel, where 300 male students also joined them to show their support. The proctor and chief warden came and talked to them, but no solution was offered. The protest then moved to the UG (Under-Graduate) women’s hostel, where around 70 students smashed the gate open and joined the protest. A similar incident happened at the PG (Post-Graduate) women’s hostel. The students then continued to protest in front of the UG women’s hostel. 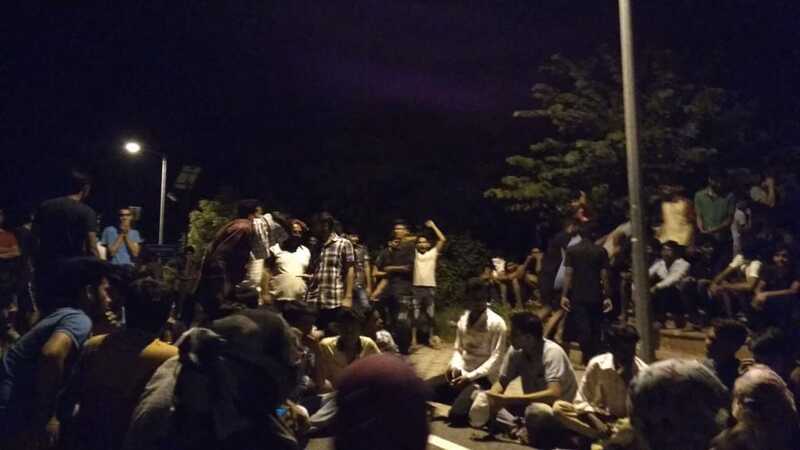 Around 2 AM, the chief warden came out to talk, but only to harass the students again, and their demands were not heard. The protestors continue to sit in front of the hostel and there will be another gathering this evening. Since the beginning of current semester, the female students staying in the hostels have been subjected to an extremely unfair surveillance system. Biometric units have been installed at the gates and whenever they step into or out of the hostels, text notifications are sent to their parents. They have also been maltreated by the hostel guards, who unnecessarily harass and question the students. Cameras have been installed all over the campus, including hostel corridors and the students are being subjected to unnecessary scrutiny. As a result students have been forced to feel scared and claustrophobic inside their own campus. The protestors have also said that even though the library is open till midnight, the girls cannot access it after 10 PM because of their hostel curfew. The students have been demanding that the library be made accessible to all the students 24x7, and the curfew be lifted from the girls’ hostels. In their charter of demands, the students have also mentioned that the campus becomes extremely inaccessible between 10 PM and 6 AM, which is a serious safety issue in case they get delayed, especially for the girls. A student, choosing to remain anonymous, said the student council elections haven’t been properly conducted in the University. The results haven’t been declared yet, even though it has been more than a month since the elections. In some departments, the students were threatened by the administration, and discouraged from taking part in the elections. 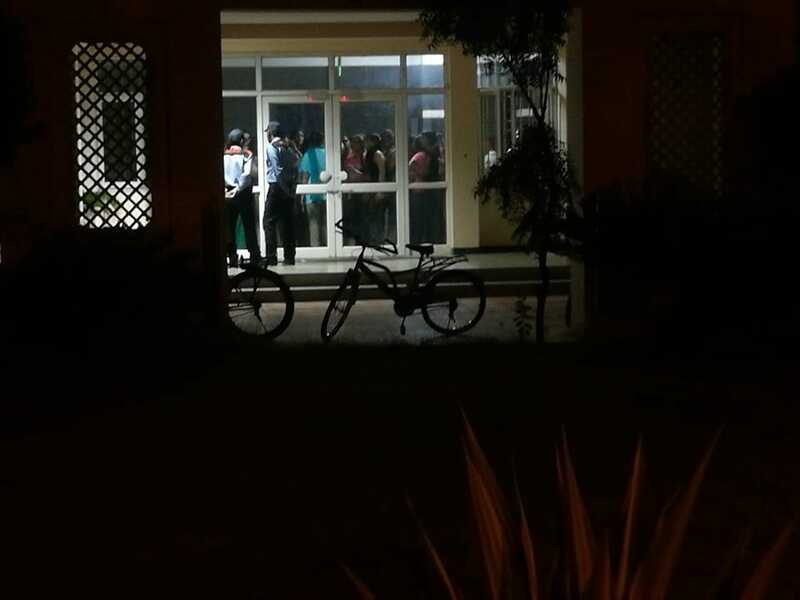 The voting rights of the under-graduate students have also been snatched. The charter of demands also says that the students’ right to freedom and privacy are being threatened by the university administration. Our source said that the students will continue to protest every evening until their demands are heard, and appropriate actions are taken by the administration. These protests are happening at a time when all across the country, students, especially women are demanding equality in hostel campuses as seen in the case of Delhi University and more recently, in Punjabi University, Patiala. JNUSU organised a public meeting on Struggles for Gender Justice in Universities and Beyond. "Caste, Class and Gender Oppression Needs to be Smashed Together"